Recently I came across a website, www.csld.org, that discussed hyperlexia. Included are response to frequently asked questions. Phyllis Kupperman, the author, has given permission to reproduce these. Is a child who is not yet reading, but is very interested in letters, considered hyperlexic’? Strictly speaking, these children are not hyperlexic because they are not reading. Some children who do not read at 2 or 3 years old may still develop reading decoding or sight-reading at 4 and 5 years old and may then be diagnosed with hyperlexia. 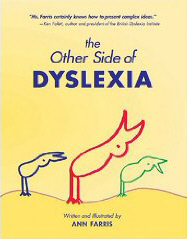 Some children who are strong visual learners, though not readers may still benefit from the intervention techniques developed for children with hyperlexia. They understand what they read about as well as they understand language in general. Many children with hyperlexia have difficulty processing what people say to them. They may have a difficult time using language for thinking and reasoning. They also usually understand concrete language better than abstractions or inferences. Reading supports language learning because it makes the language visual. Therefore, language learning improves, and reading comprehension also improves. What causes hyperlexia in children? The presence of hyperlexia within the context of another developmental disorder reflects a difference in the neurological organization of the brain. While a cause is not yet known, research in genetics and functional MRI studies may provide some information in the future. Isn’t hyperlexia just a savant skill or a “splinter skill”? A savant (like having photographic memory, playing music perfectly after hearing it just once, or doing complex mathematical calculations in one’s head) or splinter skill is an isolated ability that appears within individuals with developmental disabilities. Generally, these skills have no relationship to other aspects of the individual’s functioning. Hyperlexia is not an isolated skill, but a tool which can be used to develop language, to modify behavior and to help the individual make sense of the world. Does the presence of hyperlexia mean that the children are” higher functioning”? may have difficulties socially. It is hard to predict what a child with hyperlexia will be like as a young adult; however, we do know that using writing to supplement their learning leads to better progress. Do children with hyperlexia get better? Children with hyperlexia do improve in language and social skills. Some individuals improve to the point that they are able to go to college or live independently, although some will need special education and supervised living arrangements throughout their lives.